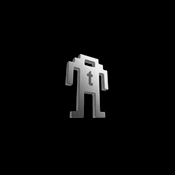 Halo fans will want to break open their piggy banks right now and rush over to Etsy to get their hands on this wondrous metal statuette of the game’s protagonist, Master Chief. 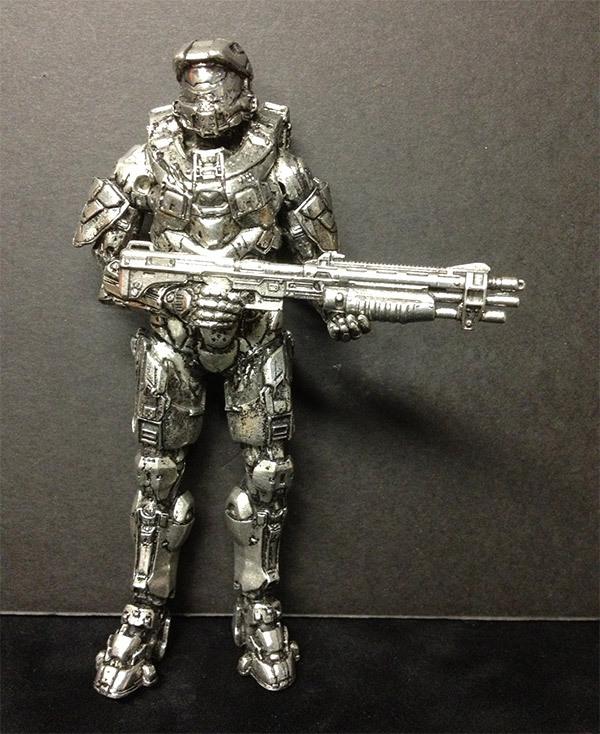 This 6-inch-tall Master Chief statue was hand-cast out of almost 1 pound of pewter by artist Donald James. 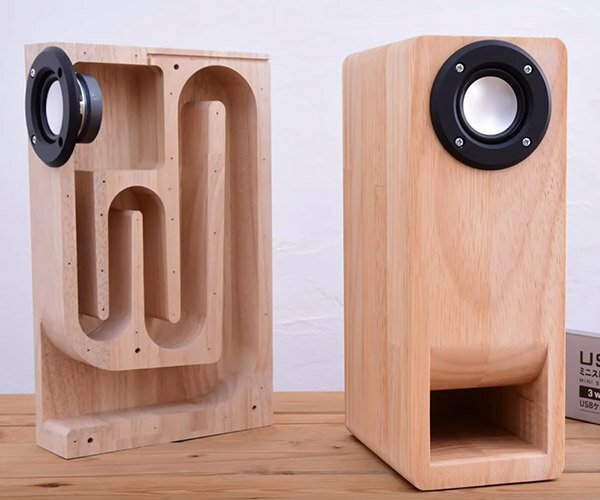 It’s truly a sight to behold. 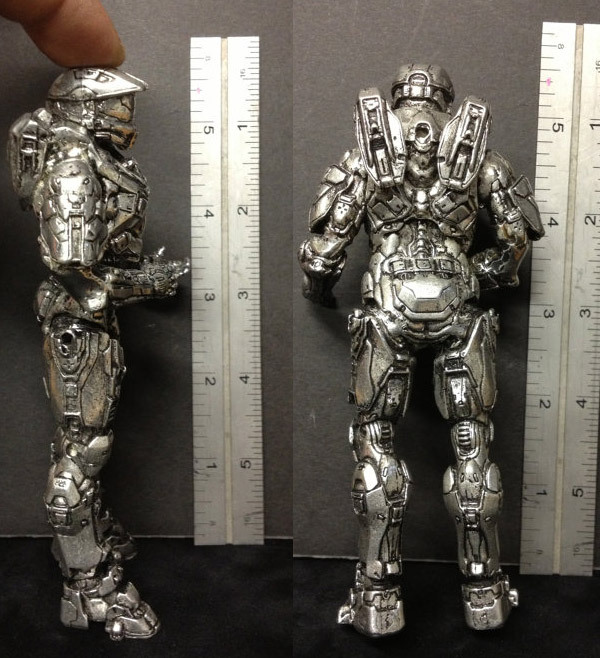 Chief himself was cast in 9 separate components, and then soldered together to form a single statuette. This metal-man also comes with your choice of two weapons – a rifle and a side arm, though you can purchase more weapons if you’d like to fully outfit his arsenal. Personally, I would need to have both an assault rifle and an energy sword. 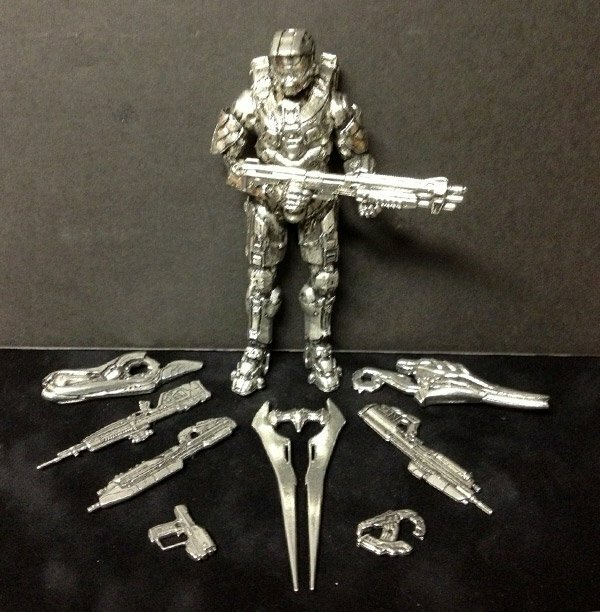 The pewter Master Chief sells for $250(USD) over on Etsy. And if gold is your thing, Donald will bling out your Master Chief with 24k gold plating for another $100.